Sales and marketing, communication and entertainment, guidance and information, brand building, customer entertainment, interaction and automation of variable information and visualization. Wow feelings and new experiences. Big and small screens and personal devices. Always seen where the impact is greatest. Remotely controlled digital display surfaces, bright and sharp images and prestige videos with high quality sound. Informative communication, stylish advertising videos, eye-catching graphics, interactive features, entertaining games. Information sought from other systems is visualized and animated spectacularly. Supporting the brand and creating the mood. The excellence of a moving picture and sound combined. Information and messages targeted to different audiences. Unlimited opportunities for marketing and sales. Flexible tools for tactical advertising. Fast automated production of material releases resources and brings cost-effectiveness. Digital Signage is the most powerful tool for influencing. 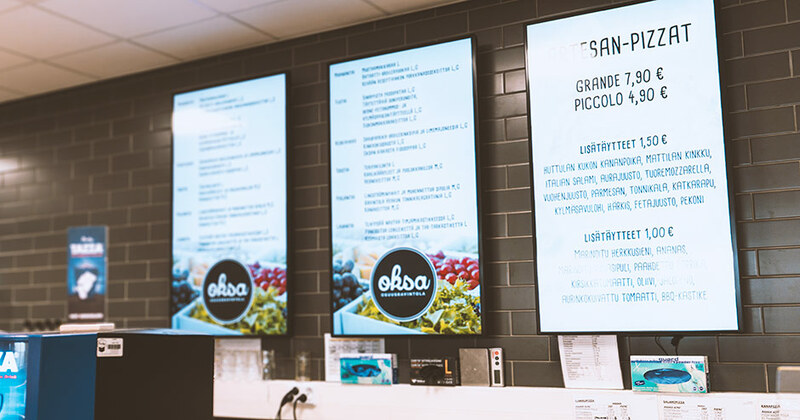 Digital Signage systems designed, implemented and operated by Craneworks operate in the most important public and commercial locations throughout Finland, from one display-kiosk to hundreds of displays in retail chains, video-walls, info-totems and LED-walls. The impact and attention of a moving picture and sound are staggering compared to the static media. 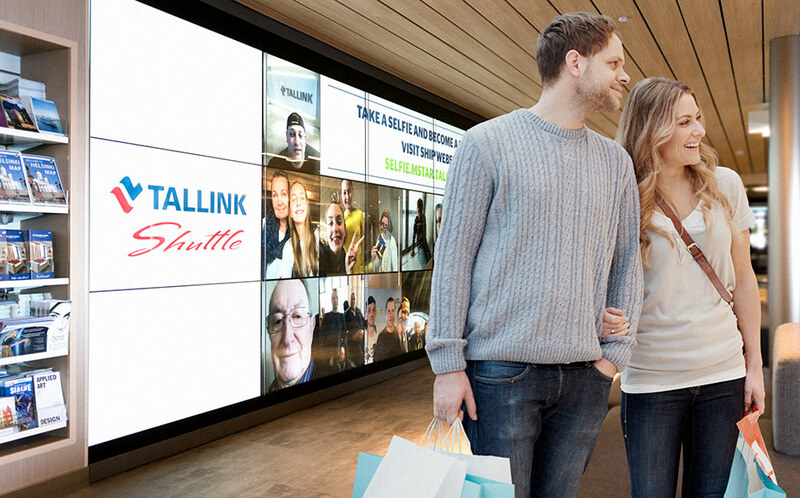 With multi-dimensional timing features Digital Signage can target your advertising to the desired audience, at the right time and in the right place. This has a strong sales impact, while guiding the customer's purchasing behavior in the buying situation. The material is immediately displayed on the screen without transport and material costs or delays. Campaigns are simultaneously published to all locations. Data and offers can be updated in real time under the changing situations. The Digital Signage network is infinitely expandable with different types of display solutions. The coverage and power of advertising and communications are growing at the same pace with your network. Advertisement contacts can be identified anonymously and compare the effectiveness of content with age, gender or other features. By combining analytical data with sales figures, the effectiveness of advertising on sales and purchasing behavior can be monitored and enhanced in real time. Digital Signage can significantly reduce communication costs. On the other hand, utilizing Digital Signage can be proven to increase sales by up to several hundred percents. The result is the best possible benefit and return, as well as the shortest possible repayment period for the investment. 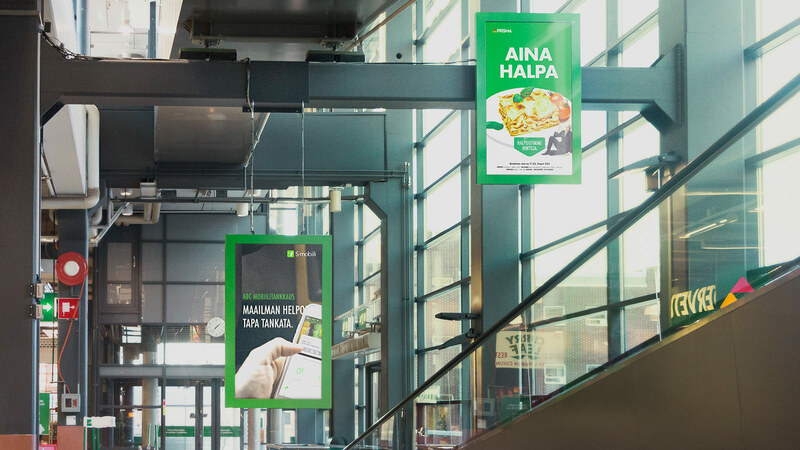 The S-Group chose Craneworks as its nationwide partner to implement the largest digitization of advertising in the store network in Finland. Craneworks takes care of the technical design and implementation throughout the digitization project. Craneworks BCN content management system and SOK's DAM material management system are integrated between each other for this project. the system and operating model to support the set targets. Large displays placed along the customer's route guides customer flows and promotes the services of the stores. The displays can be used to tell, for example, about current offers, events, schedules, and locations. 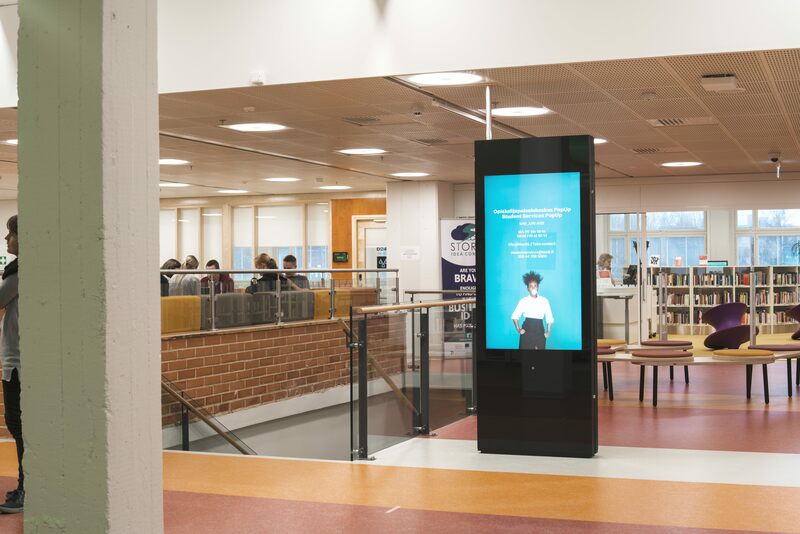 Displays can also work as a combination of an ad screen and infopoint, when customers can touch the screen to find their location at the mall, find services or products they want with route guidance of wayfinding. Digital Signage displays can be placed in stores with different product groups. Dynamically updated content can be used to guide customers to special offers. Prices, product information, promotions and ads can be fine-tuned and used effectively to control customers purchasing behavior. If the ad slot is integrated with cash data, the impact of tactical advertising on the revenue stream can be monitored in real time. Digital Signage allows you to create a variety of special events and product launches that will capture your customers' attention. 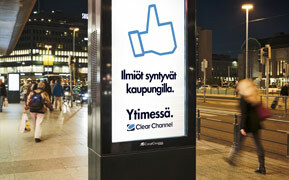 Digital Signage is also visible information content and advertising in traffic. On trains, ships, buses, trams, taxis and subways, people have a lot of time to watch and embrace. A good way to catch attention is a moving, colorful advertisement with entertaining and informative content. 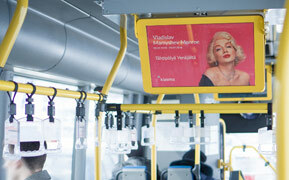 Digital Signage solutions can be exported to public transport and effectively reach the target audience every day. Campaign publishing is fast and inexpensive. The message can be precisely targeted to the desired target group, at the desired time and in the desired location. and guides them to the store. 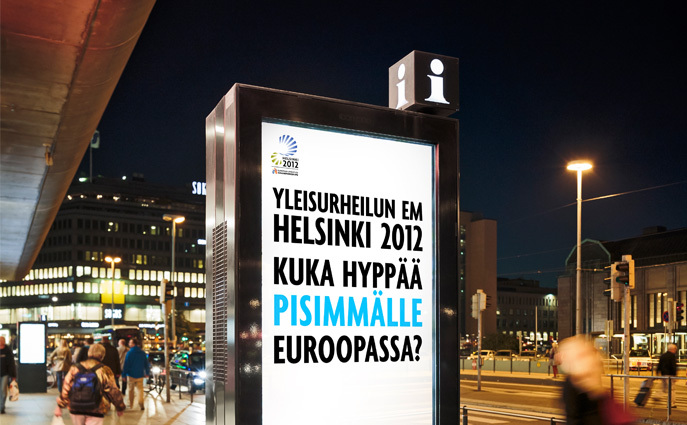 Large outdoor displays in the street view are the most visible Digital Signage. New LED solutions deliver unparalleled bright colors, high precision and eye-catching placements. 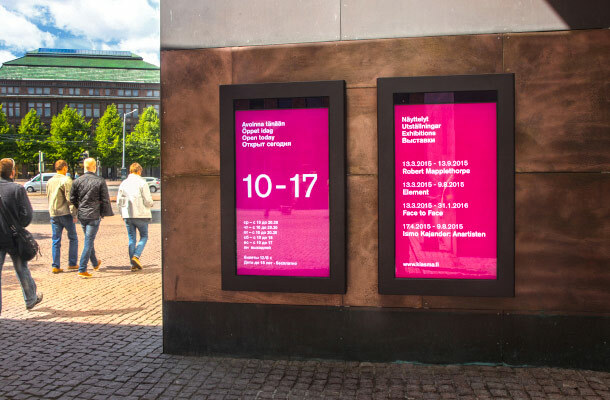 Massive outdoor display collects hundreds of thousands of glances daily and brings light, interest, and interaction in the middle of ordinary print ads. Digital Signage is cost-effective. Printing large prints takes time and they are static. In the Digital Signage screen content can be changed in no time. Production and publishing of TV and paper ads is slow, expensive and advertising time is limited . Digital Signage can utilize existing materials or create new versions of the previously created promotional material, and the same material will get thousands of repetitions in the presentation loop every week. Digital displays are great for large hospital complexes and educational environments. 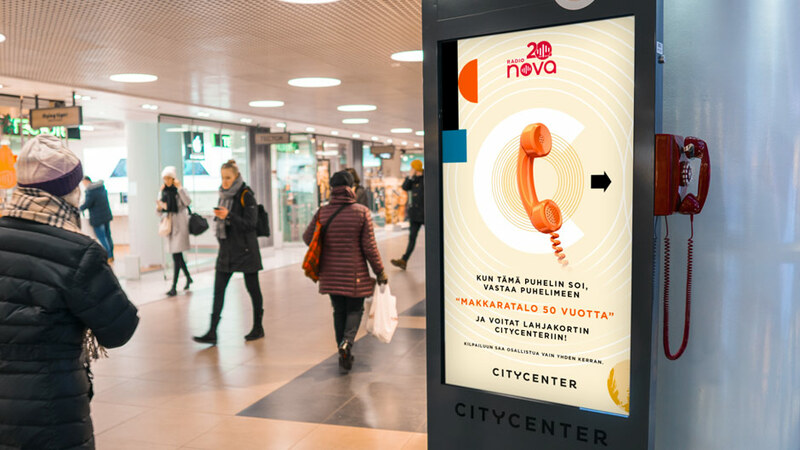 In large areas of several buildings, there is a strong need to guide students, customers and guests in several languages, and inform them about the various events and changes in timetables, kiosks and restaurants offers and to provide information of current things. 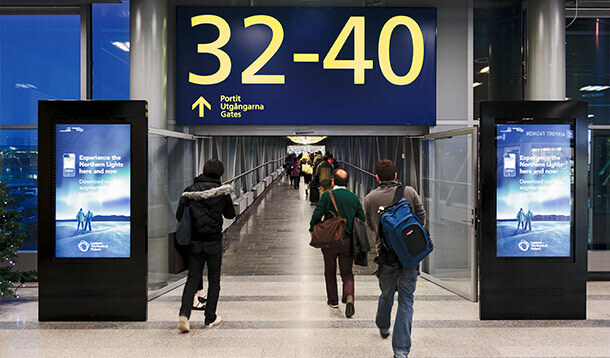 Digital Signage and Wayfinding are agile, real-time, up-to-date tools to meet these needs and make it more enjoyable and quicker. Cities can take advantage of smart digital services and guidance. 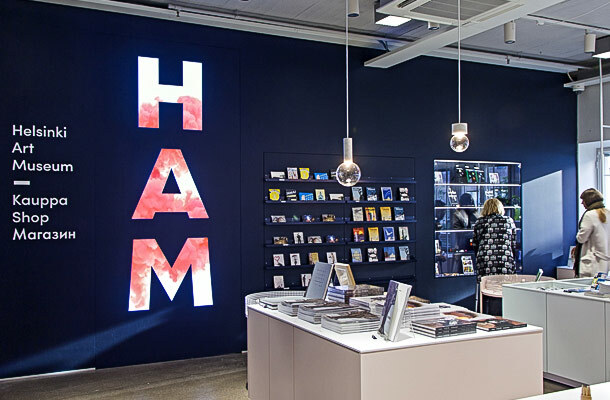 Digital Signage can entertain, build a new kind of cityscape and space, highlight media art or create a modern digital city scene with interactive games. 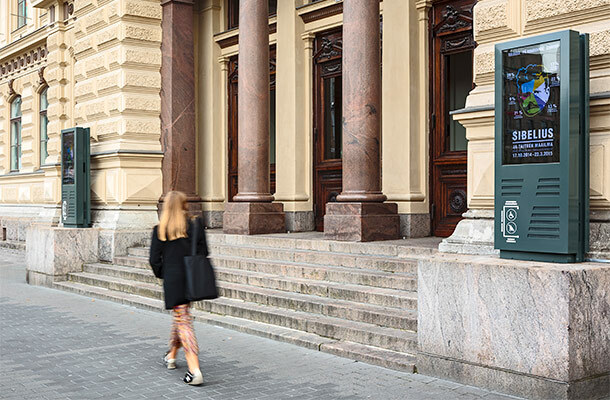 Digital Signage equipment can also be integrated in street objects. They may also include for example WLAN base stations, defibrillators, electric car charging stations or citybikes renting stations. 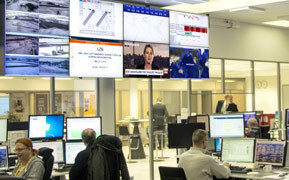 Digital Signage solutions also work well in the industrial environment. Important production-related messages can be displayed real-time in places needed. Presenting production figures to staff acts as a good incentive to work and can also be part of the bonus system increasing the results. Information related to security, training and special situations also reaches the staff instantly. Through the info-channel, staff or groups of customers can simultaneously communicate about current things. Digital Signage works in public spaces as an effective messenger and guider. 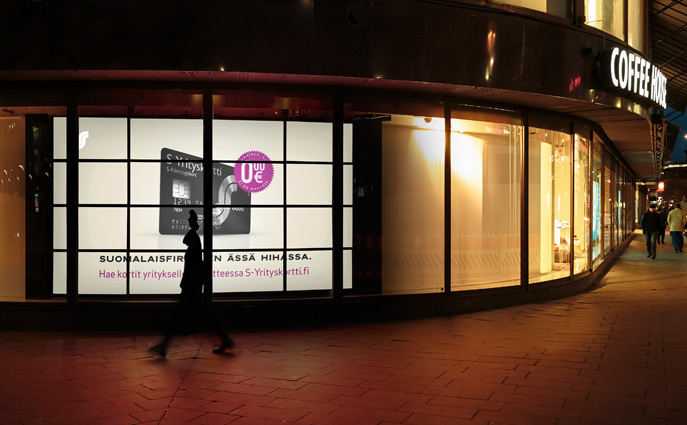 Displays, placed in strategic locations, target different customer groups. In reception rooms, the screens can greet and direct to the right direction, in waiting rooms entertain, inform, guide, or collect customer feedback. The purpose of the Craneworks DS-solution is to draw customers attention, stop and lead them inside. When technology, content and advertising messages work in partnership, Digital Signage is an unbeatable advertisement and information tool. Digital Signage is cost-effective. 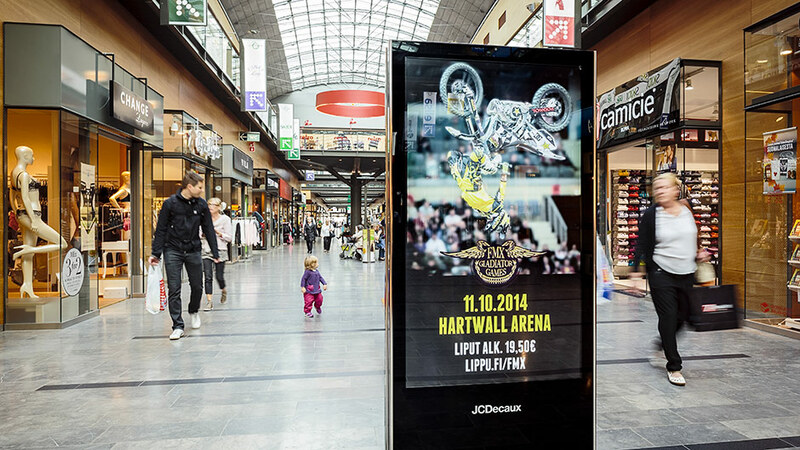 Content can be swapped in the Digital Signage screens in no time. Digital Signage can utilize existing materials and publishing is fast and inexpensive. Digital Signage works most effectively there where a lot of people are moving. At airports and traffic stations passengers' attention is easy to reach with large displays and impressive advertisements. The waiting time is long, so providing traffic information, schedules, signposts or their changes and entertainment in the vicinity of the waiting areas will add customers' enjoyment. You will get everything you need from us. The most important thing is however the content and our creative content creators can help you with anything. For the maximum consumer experience, technology has to function representing the top of its field. In addition material easy to use and maintain.